Tonight's Euro 2016 football match between England and Iceland was broadcast live on ITV in the UK. ITV have commercial breaks during Euro 2016 half time so studio discussion and match analysis is limited. ITV and BBC share the live broadcasting rights through the tournament and show alternate matches. Tonight it was ITV's turn to show the match, but while they were running ads on TV, the BBC were using Facebook Live with two of their analysts giving Facebook Live viewers their thoughts. So the BBC were broadcasting on Facebook while ITV were broadcasting on TV! 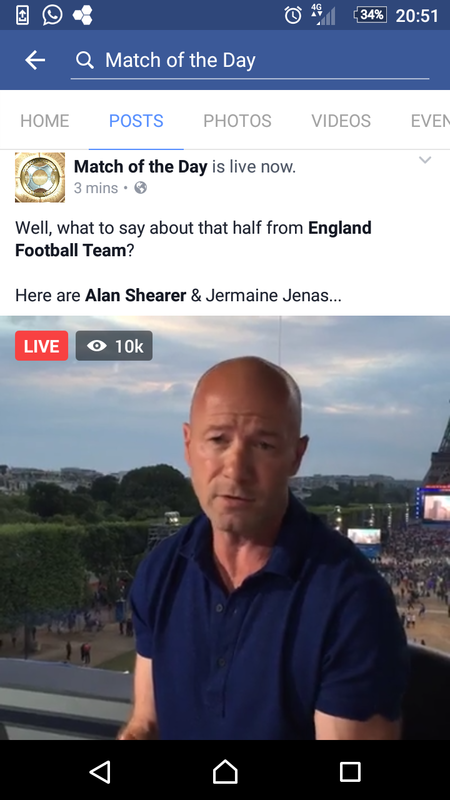 Former players Jermaine Jenas and Alan Shearer had over 10,000 people watching them through Facebook Live hosted on the Match of The Day Facebook Page. Viewers left comments, asked questions and used Facebook's reaction feature to express their feelings. 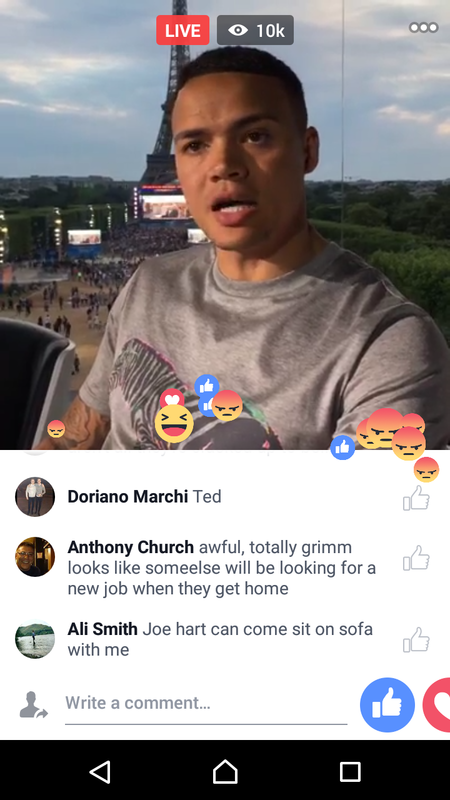 This is the first time I have seen Facebook Live used in this way - taking advantage of the habit of second screening to serve up live editorial content online that competes with a rival broadcaster's on screen programming! Clever stuff and a sign of things to come?? ?